Custom Foot Orthotics help in providing relief for painful foot problems or an injury, especially for those who must walk, or stand excessively on the job or in everyday activities. 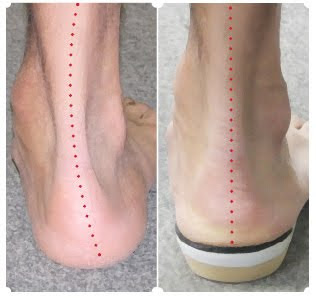 Below is an example of a foot without the corrective support of an orthotic and then another example of the same foot with a Custom Made Foot Orthotic from POL correcting and supporting the foot. Notice the difference a well made Custom Foot Orthotic makes!